Select the text that already has the formatting you want to copy. Click Format Painter. The mouse pointer appears as a paintbrush. Drag across the text that should receive the formatting. After step 3, Format Painter shuts itself off automatically. If you would like it so stay on so you can copy that same formatting to multiple selections, double-click rather than clicking the button in step 2. 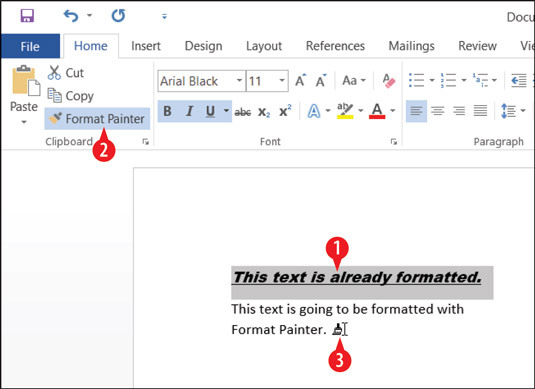 Use Format Painter to copy formatting.